Aditya Sundararajan graduated with his Bachelor’s in Computer Science and Engineering from the SSN College of Engineering, India, in 2013 and with his Master’s in Computer Engineering from the Florida International University, Miami, in 2014. 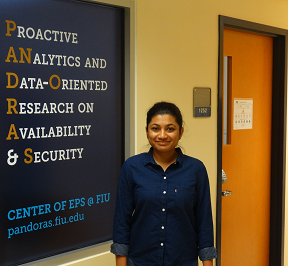 Currently, a doctoral candidate at FIU’s ECE Department, Aditya’s research focuses on designing, developing, and implementing solutions for the challenges of big data analytics and management, and human-on-the-loop cybersecurity in the domain of distributed photovoltaic systems. He worked at the National Renewable Energy Laboratory (NREL), Golden, Colorado, in the Summer of 2018 at the Energy, Security & Resiliency Center. His work at NREL focused on the cybersecurity standards for distributed energy resources and situation awareness for security analysts at control centers. His areas of interest include big data management, machine learning, statistical analytics, smart grid cyber-physical systems, distributed energy resources, and smart cities. Longfei Wei received his Bachelor’s and Master’s degree in Applied Mathematics from Hebei University of Technology, Tianjin, China. 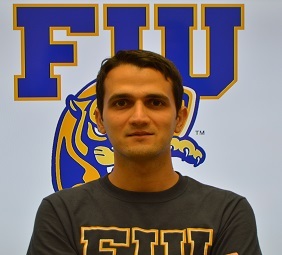 He is currently working towards his PhD degree in Department of Electrical and Computer Engineering, Florida International University under the supervision of Dr. Arif Sarwat. 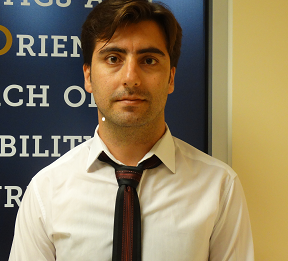 His current research includes numerical optimization, game theory and cyber-physical security in Smart Grid. Yemeserach Mekonnen is currently pursuing her PhD in Electrical and Computer Engineering. 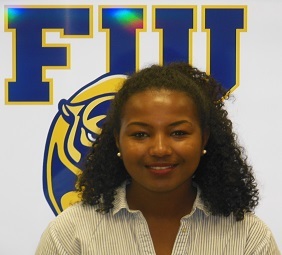 She joined the Electrical Engineering program as the NSF funded Bridge to Doctorate Fellow in Spring 2014. Before joining the EE program, Yemeserach worked for oilfield service giant Schlumberger as a junior field specialist in the gas lift segment. She was involved in gas lift application and production optimization for newly drilled and old wells. Yemeserach received her Bachelors in Civil Engineering Technology from Southern Polytechnic State University in Marietta, GA. 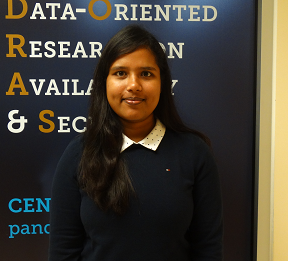 Her research interest is in renewable energy where she is currently looking into novel structure designs with photo voltaic cells to maximize surface area for higher efficiency. Mohamadsaleh Jafari received his B.S. degree from Shahrood University of Technology, Iran, in 2010, and his M.S. degree from Amirkabir University of Technology (Tehran Polytechnic), both in Electrical Engineering. He is currently pursuing his Ph.D. in Electrical Engineering at the Department of Electrical and Computer Engineering, Florida International University, USA. His research interests contain power system protection, renewable energy, Networked Cyber-Physical Systems. Temitayo Olowu received his OND (2001), HND (2005), from the Federal Polytechnic Ado-Ekiti and his BS (2010) and MS (2014) from University of Benin, Nigeria all in Electrical Engineering (Power Systems and Machines). He was a trainee on O&G operations and exploration at Shell Petroleum Development Company of Nigeria (SPDC) summer school in 2009. He has worked at different times since 2000 in the Manufacturing Industry, Communication Industry, Academics and the Renewable Energy Industry. 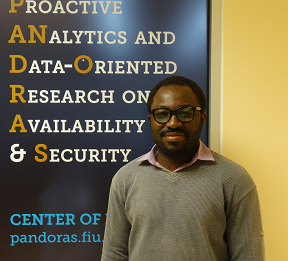 He was part of the team that designed and executed several government and individual solar powered projects in Nigeria.He joined the EPS lab as a research assistant in fall 2017 for his PhD under Dr. Arif Sarwat. His research interest include High PV Penetration and aggregation, Smart Grid, Power Electronics, Electrical Machines and Drives. Shahinur Rahman is a Graduate Research Assistant, pursuing her PhD in Electrical and Computer Engineering at the Department of ECE in Florida International University under the supervision of Dr. Arif Sarwat. She received her B.Sc. and M.Sc. degrees in Electrical Engineering from Bangladesh University of Engineering & Technology (BUET) in 2014 and 2017 respectively. Her research area includes Power quality and Protection issues of Photovoltaic integration into the Smart Grid at distribution level. Asadullah Khalid received his Bachelors degree from the Aligarh Muslim University, India (2013) and his M.S. degree from the Illinois Institute of Technology, Chicago (2015), both in Electrical Engineering. From 2014 to 2017, he worked in the Wireless/Consumer Electronics (Motorola) and Automotive (Nissan) industries. As an Electronics Engineer at Nissan, he was involved in design, development and release of electronic accessories on all Nissan and Infiniti classes and grades. He is currently pursuing his Ph.D. in Electrical Engineering at the Department of Electrical and Computer Engineering, Florida International University, USA. His research interests include Power Electronics, Battery Management Systems, Smart Grid Communications and Renewable Energy Systems. 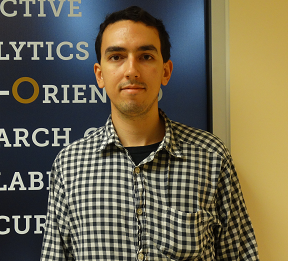 Hugo Riggs, a PhD candidate at the Engineering and Computing Department. The degree’s primary focus is study, and implementation of computer software on high powered computational systems. The chosen technologies are Blockchain, Neural Networks and general software deliverables; specifically in relation to the field of electronics. The objective is to determine how the value-exchange protocol that a block chain provides, can contribute to the data layer of the electrical grid (smart meters). Furthermore, simulation of and anomaly detection in yearly electrical consumption data. Shamini Dharmasena received her BS degree from the University of Moratuwa, Sri Lanka in 2013 and MS degree from the University of Akron, OH in 2018 both in Electrical Engineering. From 2014 to 2016 she worked in the industry as an electrical engineer involving in low voltage system design and supervisory control and data acquisition (SCADA) implementation projects. She is currently pursuing her PhD in Electrical Engineering under the supervision of Dr. Arif Sarwat. Her research interests include power electronics, vehicle to grid integration, energy management control systems and smart grid. Hassan Jafari received his B.S. degree from University of Tabriz, tabriz, Iran, in 2008, and his M.S. degree from Amirkabir University of Technology (tehran polytechnic) both in Electrical Engineering. From 2011 to 2017, He worked in a real HV power grid as protective relays expert, some of his duties were Commissioning, installation, and operation of HV power grid substations, Programming and installation of various protective relays. 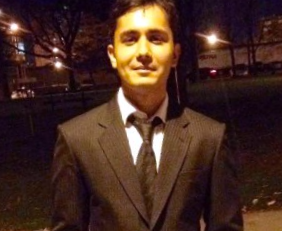 He joined to EPS group since 2018 and is currently pursuing his Ph.D. in Electrical Engineering at the Department of Electrical and Computer Engineering, Florida International University, USA. 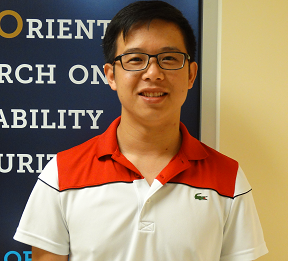 His research interests include Multi-Mode control of Micro-Grid, power electronics, and wireless power transfer. Masood Moghaddami received his B.S. degree from the Amirkabir University of Technology(Tehran Polytechnic), Iran, in 2008, and his M.S. degree from the Iran University of Science and Technology, both in Electrical Engineering. From 2010 to 2014, he worked in the industry and developed several software packages for the design of electric machinery-based Finite Element Methods (FEM). He is currently pursuing his Ph.D. in Electrical Engineering at the Department of Electrical and Computer Engineering, Florida International University, USA. 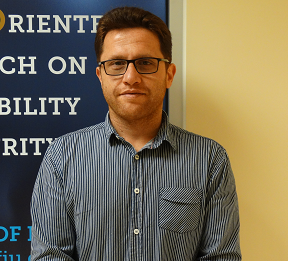 His research interests include numerical analysis of electrical machinery, power electronics, renewable energy systems and contact-less power transfer.